Yes, the 1960s were a rocky period; a turning point for a nation at war and an era that birthed a counterculture movement that would transform the world as everyone knew it. But amongst all the chaos, life went on in NYC. And in Greenwich Village things were especially great. 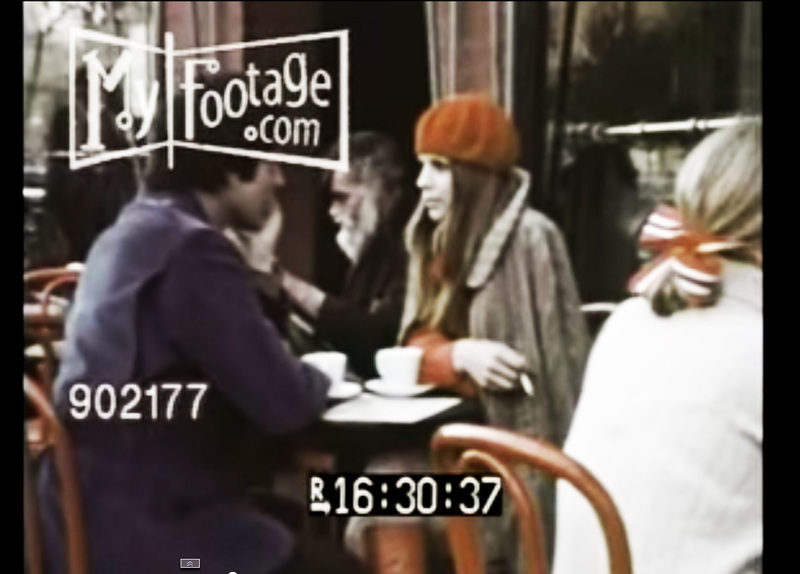 We recently uncovered this fun little film that takes viewers through the trends and lifestyles that permeated throughout the beloved neighborhood. Although the times were far different—apartments were filled with struggling creatives like Dylan Thomas, Norman Mailer and Bob Dylan versus wealthy celebs like Leonardo DiCaprio and Sarah Jessica Parker—the life that’s depicted isn’t all that different from what the neighborhood’s uber-rich residents enjoy today. Daily habits, or “chores” as the video calls them, ranged from “minding the laundry, browsing through antique shops for possible bargains, or discovering a rare volume in a quaint bookstore.” Folks would then of course follow up all that work up with a “relaxing moment” at one of the many sidewalk cafes where they’d find an artist ready to draw them.